There are many misconceptions, amongst new business owners, as to when they should register for VAT. There is, however, no legal requirement to do so, until the business turnover exceeds the registration threshold (currently £79,000). It is possible to register for VAT voluntarily, even if you are below the Registration Threshold. * In order to reclaim the VAT incurred on large initial capital outlays at business start up (equipment, vans etc). * To reclaim VAT on ongoing purchases and expenses, thereby making them 20% cheaper. (although we should be wary if we are mainly selling to the public). * To improve company image. If a company is not registered for VAT, then any potential large customers will realise that its turnover is below £79,000, and may refuse to deal with such a small company, on the grounds that its continuity cannot be assured. This will be a potential issue for any of you working from home. *To take advantage of the potential cash flow benefits of operating the flat rate scheme. (Yes, that’s right. The flat rate scheme can actually benefit your cash flow, as we can see in the example below). When considering voluntary registration, you need to be aware of who your customers are. If we are dealing mostly with business customers, then they will, in the main, be able to reclaim any VAT that we charge on our products and services. If, on the other hand, we mainly deal with the public, they are unable to make such a reclaim and our goods and services immediately become 20% more expensive. Alternatively, we can make our current prices VAT inclusive, and lose out on the extra profit. Either way, this will be a major factor in choosing whether or not to register for VAT before we actually need to. A was a locum vet, dealing exclusively with veterinary practices, all of whom were VAT registered. Her expected turnover, at £50,000 in year 1, was somewhat below the current VAT registration threshold, so registration was not compulsory. What are the implications of registering under the flat rate scheme? Firstly, as all of her customers were VAT registered, there was no problem with them claiming back the VAT, so this will not be a barrier to registration. Secondly, because she is one person, working from home, and, basically, just selling time, there will be little or no input VAT for her to claim on payments out and expenses. Under prevailing rates, at 17.5%, she would charge a total estimated VAT amount of £8,750. The relevant VAT flat rate for vets was 10% (though this was calculated on the GROSS amount invoiced, in this case; £58,750 (£50,000 plus VAT)). In the first year of the scheme, there is a 1% discount available for new users. 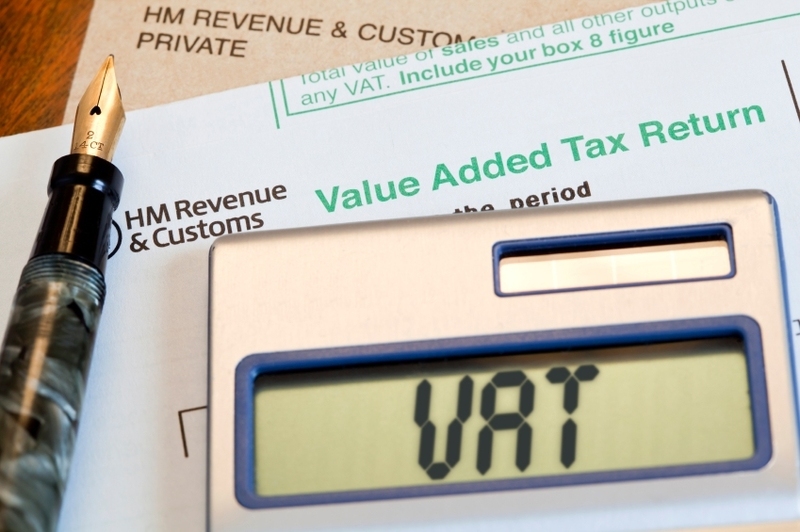 In this case, the VAT payable to HMRC, in year 1, will be £5,287.50 (£58,750 @ 9%). As we can see, A has charged £8,750 to her clients, but only had to pay £5,287.50 to HMRC, resulting in a £3,462.50 positive impact on her cash flow. On this occasion, it was considered to be worthwhile registering for the flat rate scheme, but rates will vary from one business to the next, and each case should be considered individually. It’s definitely worth a look though, and the calculation is straightforward, as you only need to identify total sales. This entry was posted in Startups, VAT and tagged Business, Flat rate, HM Revenue & Customs, HMRC, Registration, Value added tax, VAT. Bookmark the permalink.